After President Trump tweeted about the mistreatment of white farmers in South Africa, the media rushed out stories justifying the ANC regime’s plans to ethnically cleanse white farmers by seizing land without compensation. These stories invariably contained a popular fake statistic abused by racists. Who would have guessed that raising the cost of energy with regressive carbon taxes would harm a vital, low margin energy intensive economic activity? Summary:New research has found that a single climate mitigation scheme applied to all sectors, such as a global carbon tax, could have a serious impact on agriculture and result in far more widespread hunger and food insecurity than the direct impacts of climate change. Smarter, inclusive policies are necessary instead. Poor families in impoverished countries face formidable foes: an absence of electricity, roads and other infrastructure; corrupt, kleptocratic governments; nonexistent property rights to secure loans; well-financed eco-imperialists whose policies perpetuate poverty, malnutrition and disease. Now they face even harder struggles, as a coalition of well-financed malcontents, agitators and pressure groups has formed a social-political movement called “AgroEcology.” Coalition members despise fossil fuels, chemical pesticides and fertilizers, biotechnology, corporations, capitalism, and even farm machinery and all facets of modern agriculture. It’s anti-GMO organic food activism on steroids, promoting all the latest in PC fads and terminology: “food sovereignty,” the “right to subsistence farming by indigenous people” and “the right of peoples to culturally appropriate food,” to cite a few. Soil temperatures are below normal, and not conducive to planting yet. Supposedly the climate of the US Agricultural Belt has shifted 100 miles east according to a model analysis. But as we know, climate models aren’t reality. 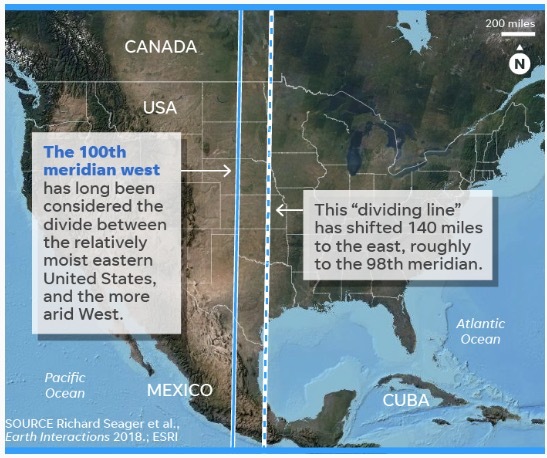 Actual data analysis shows it hasn’t and that precipitation in the 100th meridian states has actually increased, which is good for crops. Most chapters of human history are defined by the tools and machines that were used. In the Stone Age, the first tools were “green tools” – digging sticks, spears, boomerangs, bows and arrows made of wood; and axes, clubs, knives and grinders made of stone. These were all powered by human energy. Then humans learned how to control fire for warmth, cooking, warfare and hunting.